The fourth annual Cancer Prevention and Research Institute of Texas (CPRIT) hosted more than 800 researchers, scientists, physicians, cancer experts, company representatives and entrepreneurs engaged in the fight against cancer. 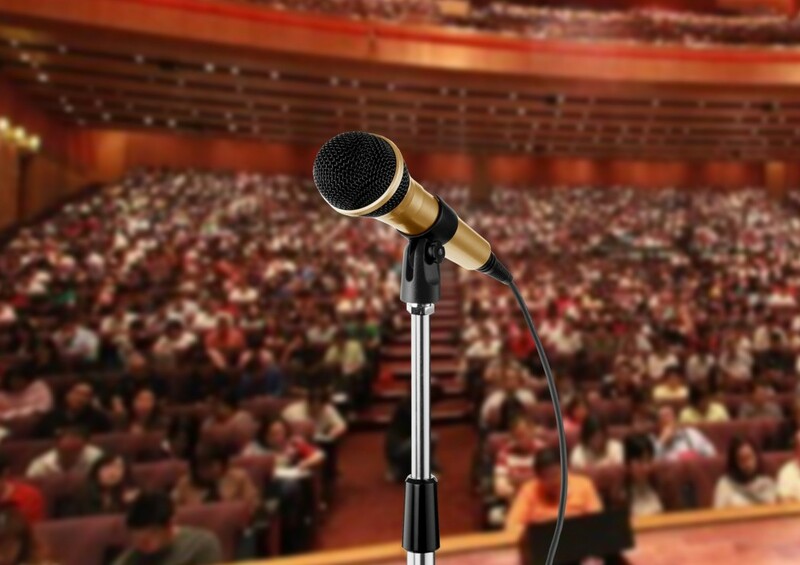 Over a two-day packed conference agenda, keynote speakers and panelists presented and discussed key advances in academic research, cancer prevention, and product development, frequently challenging attendees with specific calls to action. The event, organized by the Innovations in Cancer Prevention and Research Conference, was held Nov. 9-10 at the Renaissance Arboretum Hotel in Austin, Texas. In the “Promise and Perils of Immunotherapy” keynote session, world-renowned experts Jim Allison, PhD and Cassian Yee, MD, with The University of Texas MD Anderson Cancer Center and Malcolm Brenner, MD, PhD of Baylor College of Medicine (BCM), discussed the importance of immunotherapy as an effective addition to traditional forms of cancer treatment. The presenters highlighted the fact that four drugs have been approved to treat melanoma in 2015 alone. Dr. Allison serves as the chair of the MD Anderson Immunology Department and is executive director of the Moon Shots Program Immunotherapy Platform. This year, he was named winner of the Lasker-DeBakey Clinical Medical Research Award, one of the world’s most prestigious scientific awards, and also received the Science of Oncology Award by ASCO and the Pezcoller Foundation AACR International Award for Cancer Research. A CPRIT grant helped bring Dr. Allison back to his native Texas in 2012. Dr. Yee is a professor in the Department of Melanoma Medical Oncology and Department of Immunology at MD Anderson, and also serves as the director of the Solid Tumor Cell Therapy program there. He is also a Burroughs Wellcome Scientist in Translational Research, an elected member of the American Society for Clinical Investigation, and co-leader of the Stand Up to Cancer Immunology Dream Team. CPRIT funding also helped bring Dr. Yee to Texas from the Fred Hutchinson Cancer Research Center at the University of Washington. Dr. Brenner is founding director of the Center for Cell and Gene Therapy at BCM, Texas Children’s Hospital, and The Methodist Hospital, and is currently a professor in the Departments of Pediatrics and of Medicine at BCM. He is also editor-in-chief of Molecular Therapy, and a former president of the American Society for Gene and Cell Therapy (ASGCT) and the International Society for Cell Therapy. In the session, “The Evolution of Precision Oncology Biological Complexity, Big Data and Big Price,” Arizona State University’s George Poste, PhD, reported that more than 580,000 cancer deaths occurred in the United States in 2014, a year which also recorded $3 billion in cancer medication costs but only 40 percent of patients who responded to treatment. In order to improve efficacy, Dr. Poste said that cancer research needs a predictive rule set to serve as a blueprint for the next generation of discovery, which must include the ability to share data to create an extended cognosphere for the cancer research community. Dr. Poste is chief scientist, Complex Adaptive Systems Initiative, Regents professor and Del E. Webb Chair in Health Innovation at Arizona State University (ASU), and serves on the board of directors of Monsanto and Exelixis, and the scientific advisory board of Synthetic Genomics. He is a vice chairman of Caris Life Sciences, and chief scientist, Complex Adaptive Systems Initiative (CASI) at ASU. Prior to working at ASU, Dr. Poste served as chief science and technology officer and president, R&D, of SmithKline Beecham, and has published over 350 research papers and edited 14 books on pharmaceutical technologies and oncology. A fellow of the Royal Society, Dr. Poste was honored in 1999 by Queen Elizabeth II as a Commander of the British Empire for his contributions to international security. He is currently a member of the U.S. Institute of Medicine Board on Global Health, and has served on advisory committees for multiple U.S. government agencies in the areas of defense, national security and healthcare. 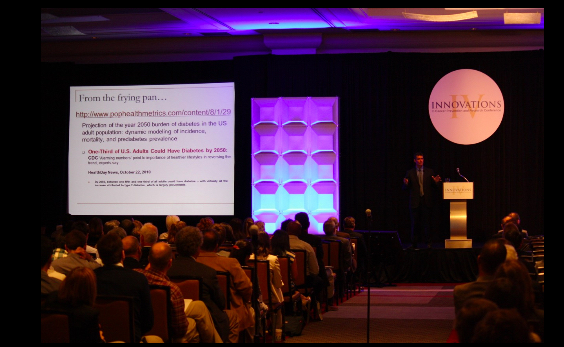 Five of the Innovations Conference sessions focused on CPRIT’s product development research program. During CPRIT “Companies in Action — Early Stage Successes,” representatives from Asuragen, Aeglea BioTherapeutics, Mirna Therapeutics and Bellicum Pharmaceuticals reported how CPRIT’s translational research funding sustained their early stage of product development that was critical to transferring ideas from bench to bedside. The panel also praised CPRIT’s intensive peer review process, crediting it with validating the companies’ ideas and attracting follow-on funding from venture capitalists. The panel closed by emphasizing CPRIT’s positive impact on the Texas life sciences industry. Abby Sandler, PhD, of the President’s Cancer Panel, explained that the human papillomavirus, or HPV, vaccination rate is 33.4 percent in the U.S., lagging far behind several other countries. Dr. Sandler emphasized that an 80 percent vaccination rate could prevent 53,000 future cervical cancers, and noted that limited understanding of the vaccine, lack of provider recommendation, safety concerns, and misinformation created by ‘Doctor Google’ all pose challenges to increasing the vaccination rate for a preventable cancer. Dr. Sandler has worked at the National Cancer Institute (NCI) since 1999 and served as executive secretary of the President’s Cancer Panel since January 2005. Since 2013, she also has served as special assistant to the director, NCI Center for Cancer Research, on the Rare Tumors Initiative. Her research background focuses on molecular tumor virology and gene therapy. At the closing session, “CPRIT: A Look Forward,” University of Texas Systems Vice Chancellor for Research and Innovation Patricia Hurn, PhD, emphasized the importance of synergizing CPRIT resources with universities and companies, and investing in data mining to bring statewide scale to cancer research. Dr. Hurn serves as the chief health research officer to the UT System and its six academic healthcenter campuses, and is also an active neuroscientist and serves as a research professor in neurobiology in The University of Texas at Austin’s College of Natural Sciences. She directs a translational laboratory that studies the role of hormones in post-stroke immunology. Other panelists discussed the continuing economic benefit of CPRIT’s early detection and prevention services, the importance CPRIT funding plays in moving promising research into product commercialization, leveraging the Governors Excellence Fund with CPRIT investments, and expanding recruitment of world-class researchers. Since its establishment in 2009, the Cancer Prevention and Research Institute of Texas has awarded $1.35 billion in grants to Texas researchers, institutions, and organizations through its academic research, prevention, and product development research programs. Programs made possible with CPRIT funding have reached all of the state’s 254 counties, brought more than 80 distinguished researchers to Texas, advanced scientific and clinical knowledge, and provided more than $2.5 million worth of life-saving education, training, prevention, and early detection services to Texans.